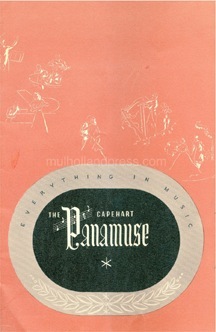 READ the Capahart Panamuse brochure for model year 1941. The interactive brochure will open in a new window. When Farnsworth bought finacially troubled Capehart in about 1938, they made several changes. In addition redesigning all of the Capehart electronics in house (they were previously bought from Howard Radio), they added a model that bridged the large price gap between the popular priced Farnsworth radios and the Deluxe Capeharts with the turn-over changer. This new model was known as the Panamuse and consisted of high-end electronics combined with a traditional drop-type record changer. 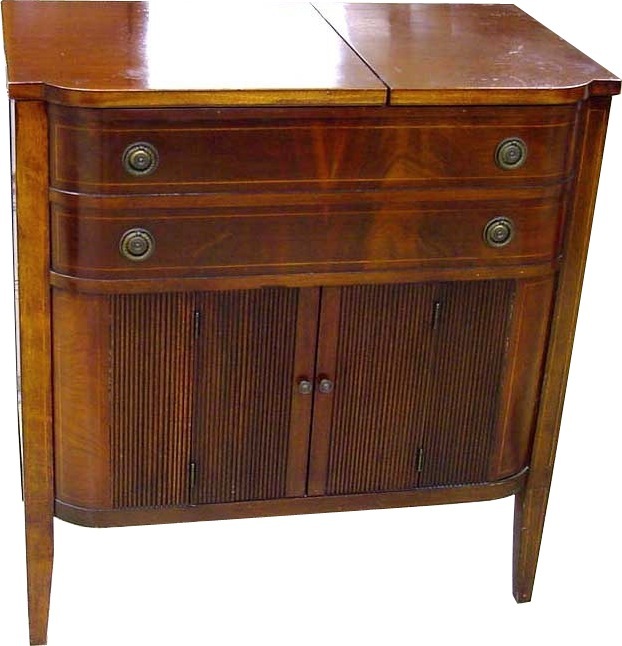 The cabinets on the largest Panamuse were similar to the cabinets on the entry level Deluxe Capeharts, while the cabinets on the smallest Panamuse models were similar to the better Farnsworth cabinets.